If you are looking for a venue for a seminar, product launch or team building event, the Récré des 3 Curés is the ideal choice! We will help you make some fabulous memories. 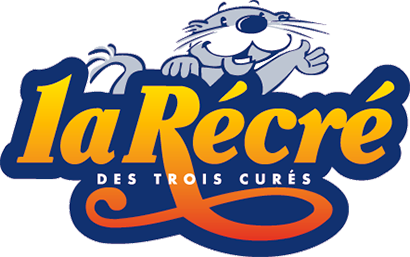 At the Récré des 3 Curés theme park you can relax and have fun, whatever your age, but that’s not all. 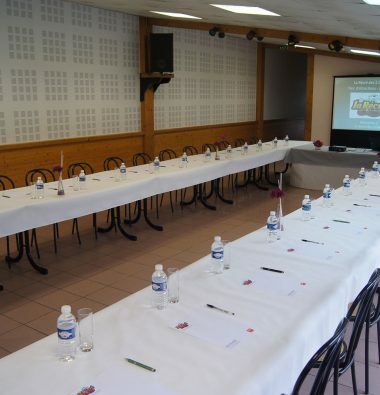 We offer the perfect work conditions and a peaceful setting (meeting rooms from 20 to 150 people seated) as well as a range of catering options (coffee breaks, cocktails, meals, etc). Your colleagues or clients can also enjoy the thrilling attractions in the park. Or why not accept a go-karting challenge? May the best man win! You also have a choice of accommodation at the Récré campsite located on the same site: easy access, on the edge of a B-road, a peaceful 50-acre park and a large car park. Team-building event, retirement party, Christmas meal… whatever the occasion, we can organise it for you. You can also buy a book of 100 admission tickets at a special rate (see details on our price rates page).